Depression presents differently in teens than it does in individuals of other age groups. This is partly because of the hormonal changes going on inside teens. When trying to determine whether or not your teen is depressed, it is important to look out for behavioral and emotional changes. You need to be informed so that you can tell what’s normal teen behavior and what isn’t, how to help your teen, and when to seek professional support. The emotional changes that a depressed teen experiences can be easy to miss or brush off as normal teen behavior. The best way to figure out what is going on it to talk to them. Ask them questions about their feelings to find out if they feel like they are able to manage the stress in their lives. If they respond that life is overwhelming, then their symptoms may be due to depression. Symptoms to look out for include: being sad, crying inexplicably, moodiness, frustration, anger, lack of interest, guilt, obsessing over failures, conflict with family and friends,feeling worthless, self-blame, sensitivity, difficulty concentrating or making decisions, feeling generally down about life and the future, and thoughts of dying or suicide. These symptoms may present themselves in different ways. They may wear black clothes, write in a morbid way, stop maintaining their appearance, quit extracurricular activities and sports, lack motivation, have excessive boredom, have low energy, and avoid friends and family. Behavioral changes are a little easier to spot if you know your teen well. When a drastic shift in behavior occurs, it is time to start asking questions. It isn’t normal for a teen to suddenly change how they behave. Things to look out for include: changes in sleep habits, increased or decreased appetite, use of drugs or alcohol, fidgeting and restlessness, slowed thinking and speaking, frequent complaints of aches and pains, poor performance in school, missing too much school, risky decisions, outbursts, disruptive behavior, and self-mutilation. These symptoms may present as becoming aggressive or abusive to family members, frequent trips to the school nurse, getting into trouble at school, missed assignments, staying up all night or sleeping all day, running away, cutting, excessive piercings and tattoos, talking about suicide, and suicide attempts. If you think your teen may be depressed, the best way you can help them is to go to a doctor as soon as possible. Help your teen prepare for the appointment by discussing it with them and making lists to help the doctor. You should bring a list of symptoms, medications, personal information such as recent stressors and life events, and a list of questions for the doctor. Prepare your teen for what to expect at the appointment. A doctor will typically do a physical exam, run lab tests, and perform a psychological evaluation in the form of asking questions about their feelings and behaviors. If you feel your teen may harm themselves, do not hesitate. Seek out emergency help if you feel like the danger is immediate. Don’t leave them alone, call 911, or if you can do so safely, take them to the emergency department of the nearest hospital. 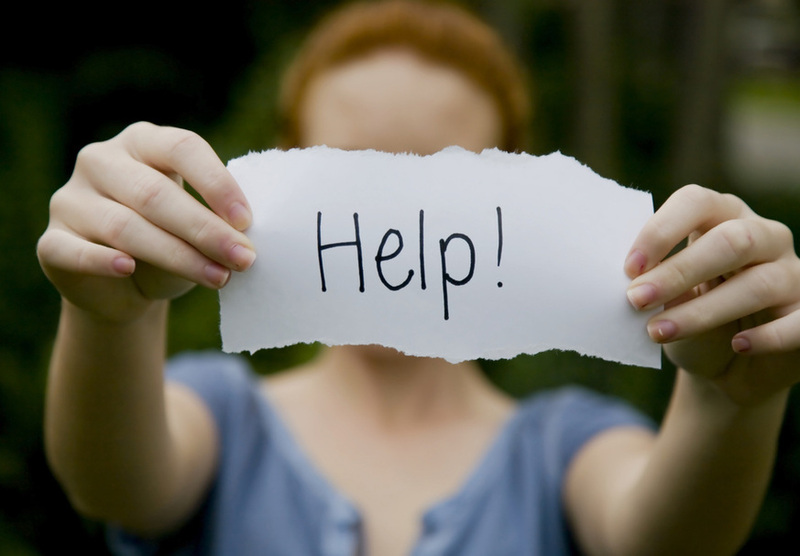 Suicide is a very serious risk associated with teen depression. Don’t take suicidal statements lightly, even if they say they are joking. Get help right away. Once your teen has been diagnosed it is important for you to stay involved in their treatment. As the parent, you are the best advocate for your teen. Make sure that your teen follows the treatment plan that has been designed by their doctor. They need to attend all appointments and take prescribed medications. Learn as much about depression as you can and share that knowledge with your teen. Education will help remove the stigma your teen feels and give them hope that they can get better. Build an environment of understanding and support, a place where your teen will feel safe to openly communicate with you about their condition. Have a plan in place in case things get worse. Watch for warning signs and be ready to act. Help them avoid alcohol and drugs. Encourage a healthy lifestyle that includes light exercise and a nutritious diet. Arming yourself with knowledge about teen depression is the best thing you can do if you suspect your teen may be suffering from depression. Knowing the subtle differences between teen and adult depression will help you determine if your child needs professional help. Keep an eye out for the behavioral and emotional changes that often accompany teen depression and be prepared to take action. Help your teen by taking them to see a doctor and then following through on the treatment plan. Empower your teen with knowledge to give them hope for a better future and a life without depression.